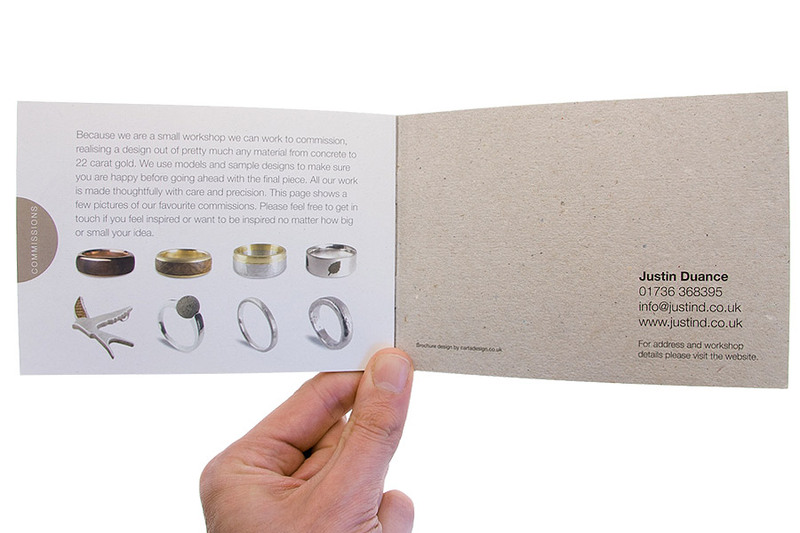 This is the second brochure I’ve designed for Justin. 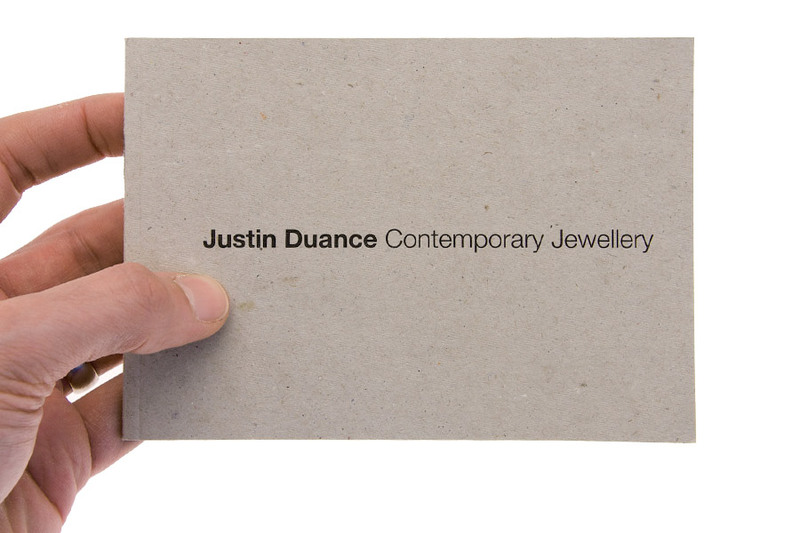 This time Justin wanted a more utilitarian / traditional feel; something that harked back to the old packaging boxes of the 30’s. 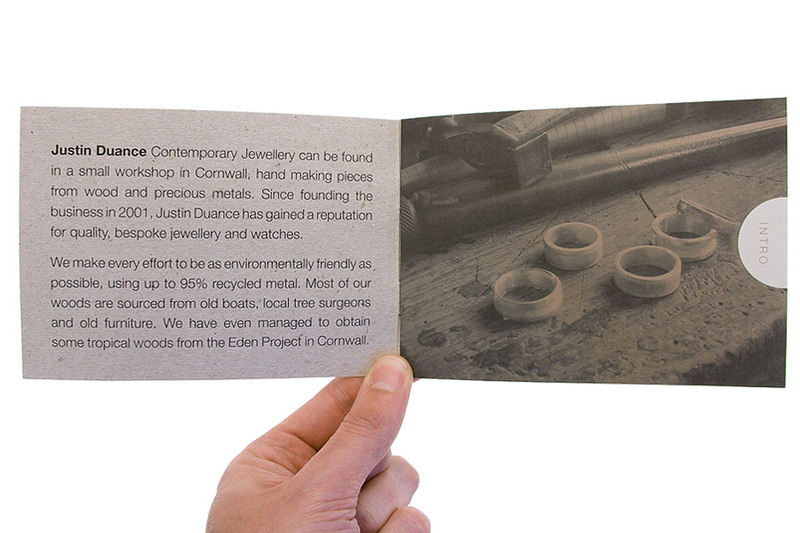 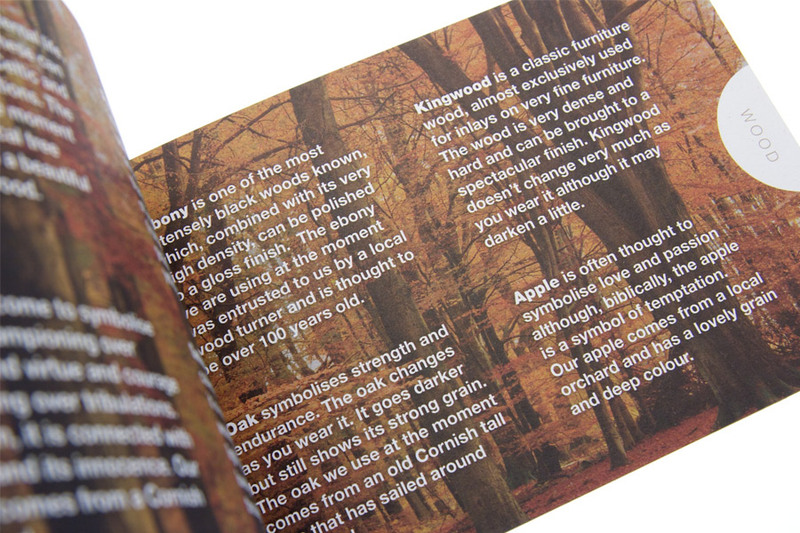 After liaising with Headland Printers on various paper swatches we went for a pulpboard cover and 100% recycled Cyclus inner pages. 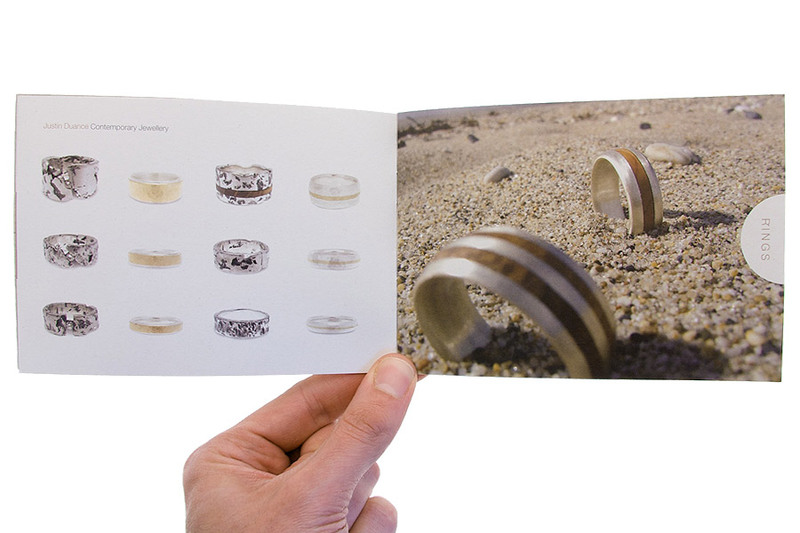 Cyclus is an off-white and has a nice coloured fleck to it. 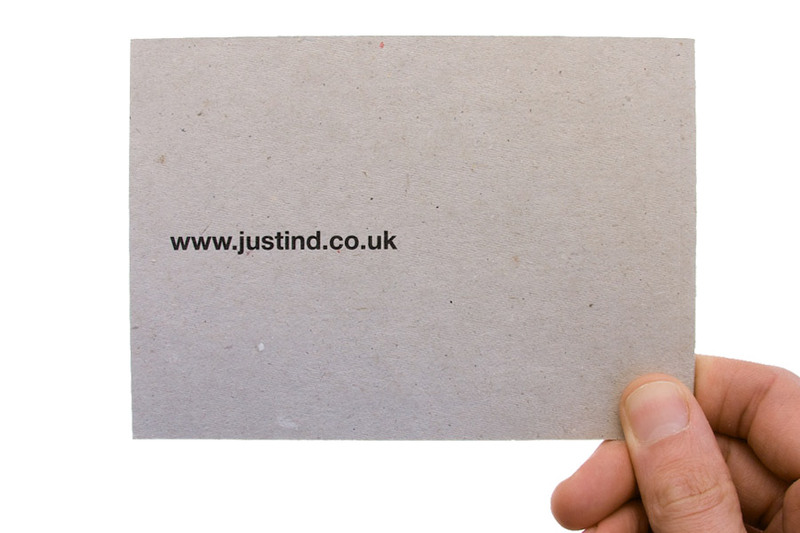 A6 in size meant it could be posted in Justin’s smallest jiffy bag size. 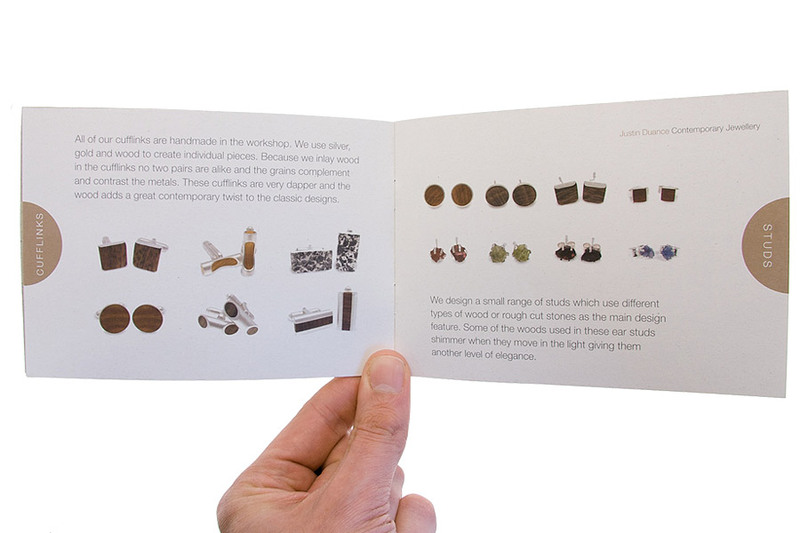 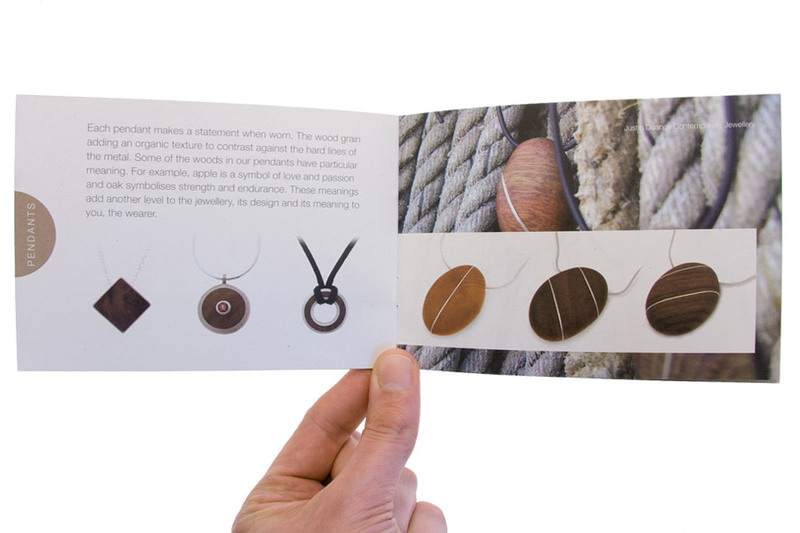 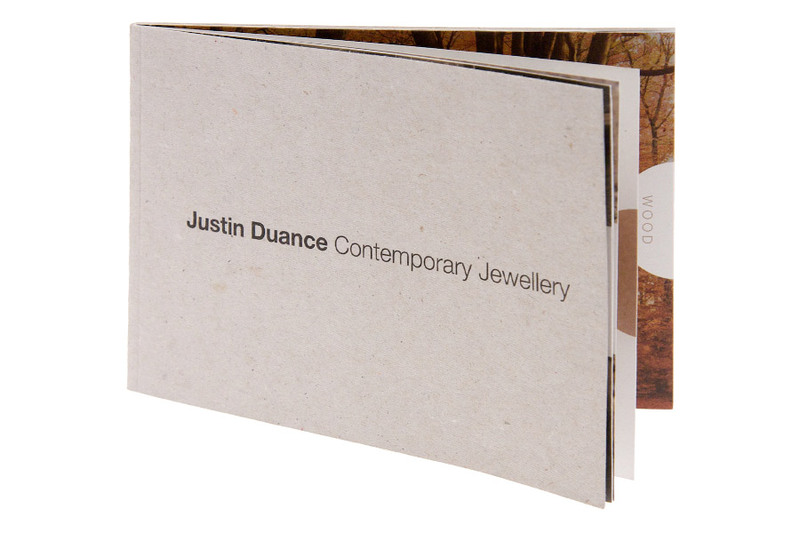 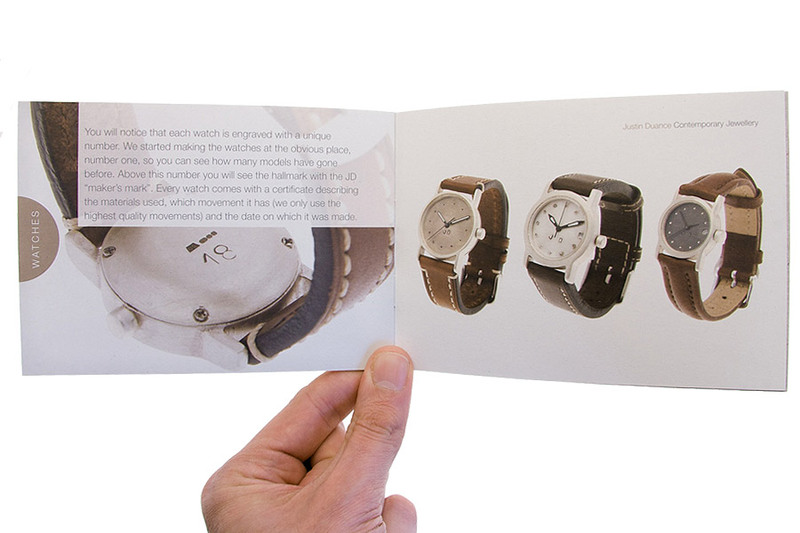 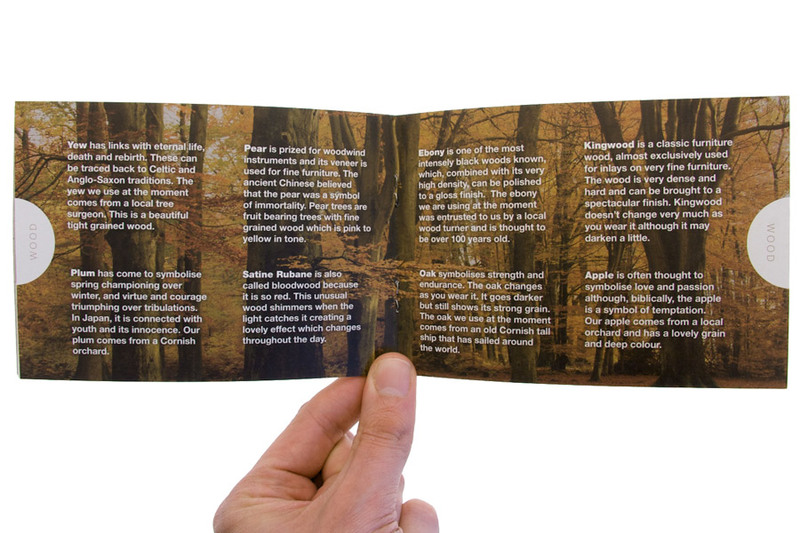 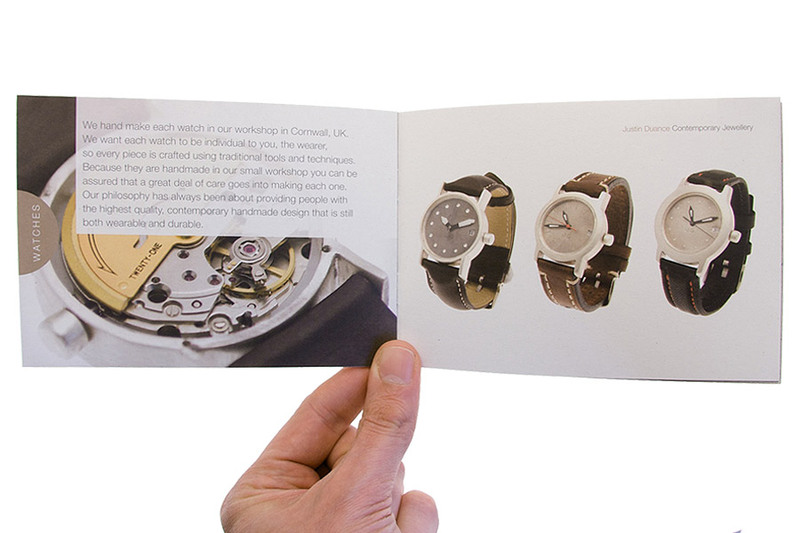 The brochure is finished with a new square stitched spine to give it a book feel.